Chronicles of a Foodie: Kiku Sushi Night! 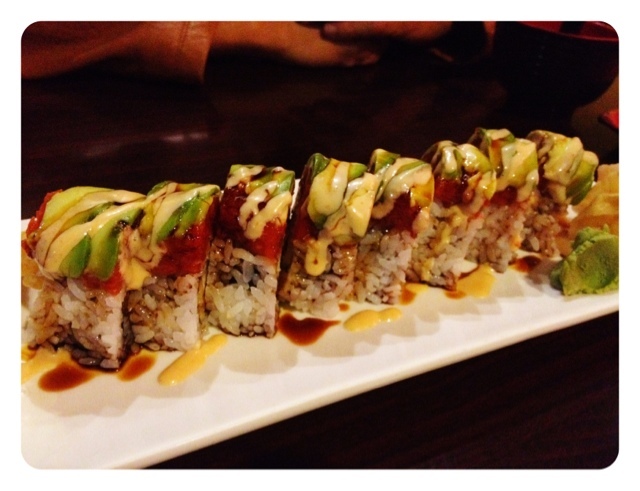 LA Dodgers roll: crab, avocado and shrimp tempura topped with spicy tuna, avocado and ponzu sauce. 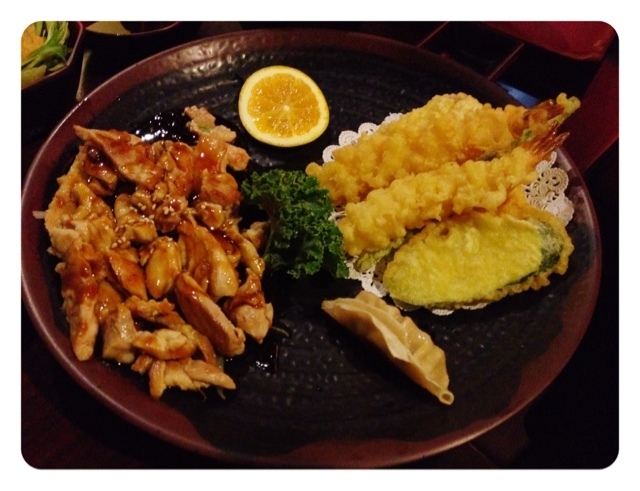 Chicken teriyaki, mixed tempura, rice, and gyoza.